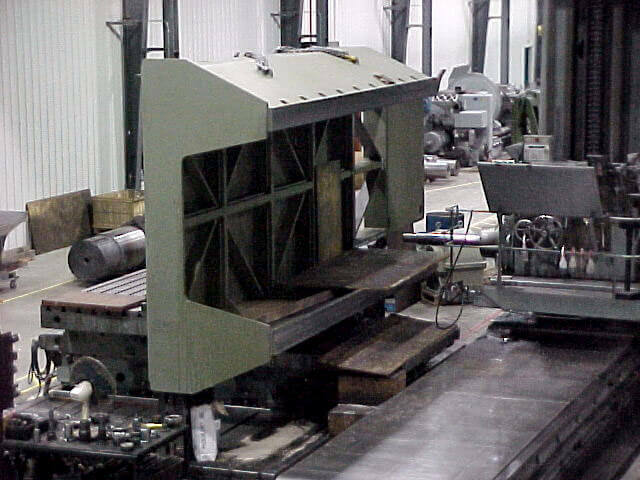 Our CNC Horizontal Boring Mills are capable of handling up to 40 tonnes on the rotary table with part lengths up to 26 feet in length. CNC lathe capacity is up to 42 inches in diameter x 13 feet long, or manual lathes swinging up to 72 inches x 40 feet long holding 35 MT between centers. Our fabrication facility can support your needs with capabilities of welding parts up to 30 tonnes or larger if needed. This is supported by a stress relieving furnace that is 16 feet x 16 feet x 24 feet high. Sandblasting, shot peening and painting capacity complete the operations. 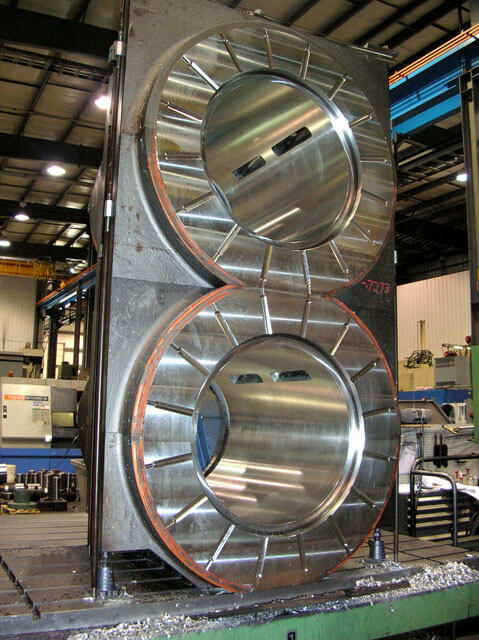 Our machine and fabrication facility is over 100,000 square feet, laid out using Lean Manufacturing Production System concepts, and built with a new gear manufacturing factory and heat treat facility combined into one plant. Standard Machine’s machine and fabrication team manufactures take-up clusters, belt winches, crusher and apron feeder shafts, compactor and crushing equipment, underground mining equipment, pulleys, flying shear arms, spindle couplings, steel mill equipment and more. 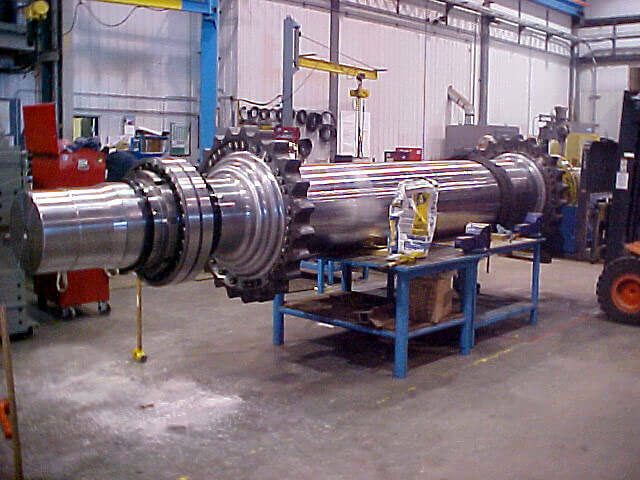 We supply custom-designed applications, drop-in replacements for competitors’ reducers or increasers, and offer a complete rebuild centre for all types of gearboxes.